Crocoldile Cry - Something New Everyday! For those who may not know, this expression refers to someone who is faking crying or pretending to be upset. 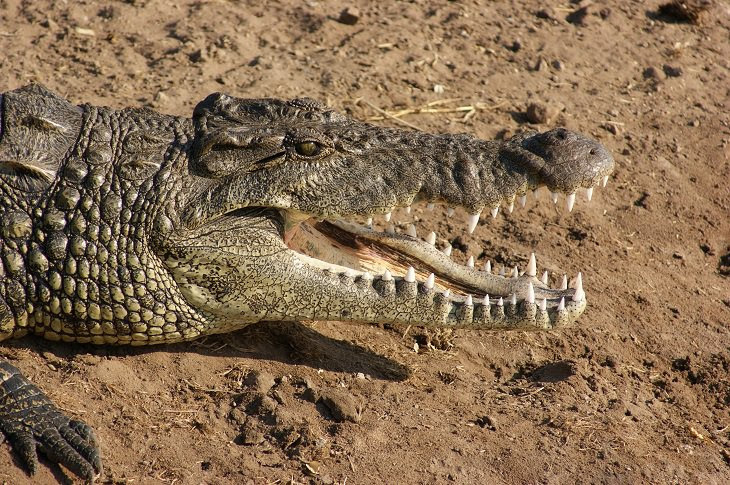 When they do this, they are said to be shedding crocodile tears. Did this phrase come about because crocodiles never cry? Well, no, the origin is a lot more interesting than that. In an ancient anecdote, Photios claimed that crocodiles cry to strategically lure their prey closer to them. When the prey is close enough, the crocodiles drop the act and go in for the kill.